1. Made from the most durable corrosion-resistant plastic available. 2. 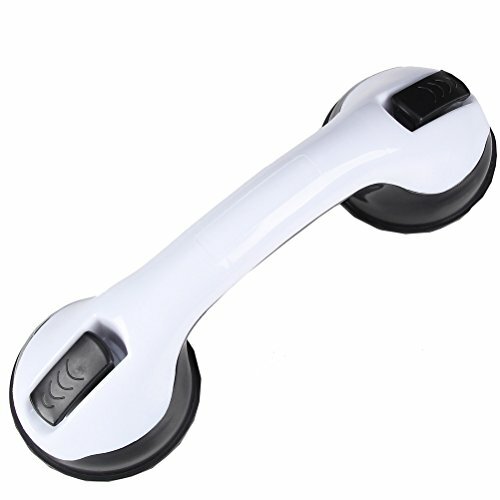 The strong suction bar provides safety and security in bathroom, tub, shower and toilet handrail. 3. Non-slip grip, your hands won't slip even when wet. 1. Gently contoured grip gives you a reliable handhold. 2. Portable, durable and stylish, its travel-friendly design fits easily into a suitcase or backpack. 3. Extremely easy to attach and detach, just push down the locking latches to secure or flip them up to release. 4. Gives confidence in slippery and wet places like the bathroom, perfect for elderlies and children. If you have any questions about this product by GFYWZ, contact us by completing and submitting the form below. If you are looking for a specif part number, please include it with your message.